When it comes to design, the new 911 retains the shape and size of the previous 911, but it does get some styling changes. The car now looks more muscular with a more prominent splitter, a larger bonnet and three air ducts. It also gets new optional Matrix LED headlights mounted on front wings. The most important change, however, comes under the bonnet. The new Porsche 911 is powered by a 450HP 3.0-liter turbocharged engine. At 450HP the engine gives 30HP more power than its predecessor. The engine is mated to an 8-speed automatic transmission. 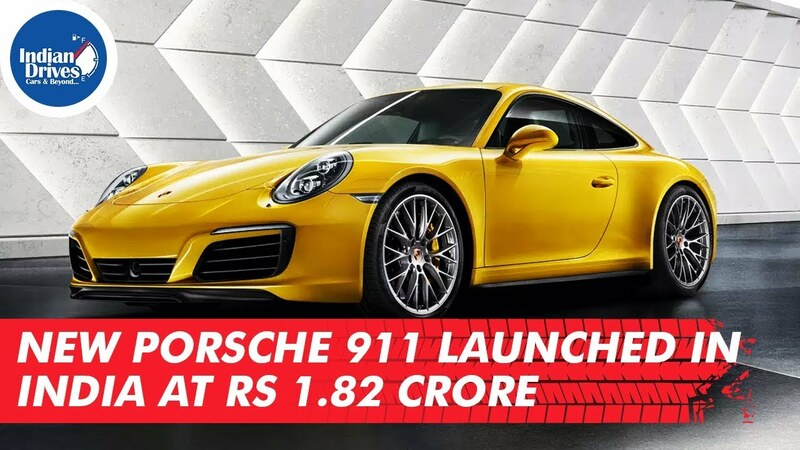 The 911 does 0 to 100kmph in just 3.7seconds, which is 0.4 seconds faster than its predecessor.